Features: ROBUST AND PRACTICAL: Professional high quality truss lattice cutter. 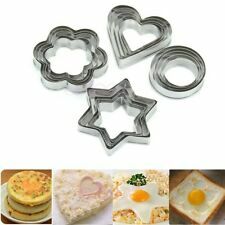 Ideal for cookies, chocolates, breads, cakes, pies, pizzas, etc. APPLICATION: The perfect plaid top with a simple scrolling operation of pies and cakes. MODERN DESIGN: The perfect lattice cooktop. The Craft Grid creates a tool with a simple action pie roll, bread seconds. SAFE MATERIAL: food grade silicone. Complies with US FDA and European LFGB safety standards. Contains no BPA and contains no other harmful or toxic chemicals. Pastry cutter for use with dough, bread, pizza, pies and more. Soft grip handle. Wheel diameter: 3.5cm. Overall length: 17.5cm. Best choice for you, Enjoy the fun of baking! 1 x bakery roller. The star-scores are very important to us. Beautiful Antique Brass Pastry Wheel Cutter Crimper. Condition is Used. Dispatched with Royal Mail 2nd Class. Erbuer Whole Cutters. Condition is Used. Dispatched with Royal Mail 2nd Class. 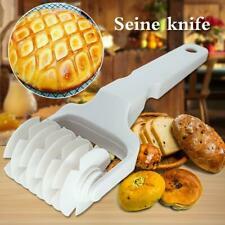 Ideal for pies, tarts, flans, cakes, pastries & strudel. 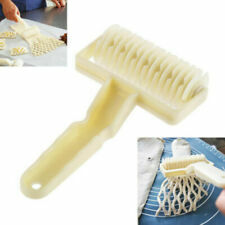 LATTICE PASTRY ROLLER CUTTER. 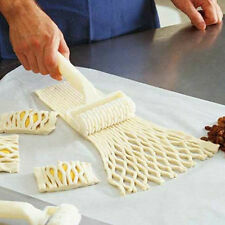 Use like a roller on pastry to create the traditional lattice top look. Smaller size ideal for thinner/smaller pieces of pastry. Paul Hollywood Pizza Cutter, Palette Knife And Pastry Brush. All new. 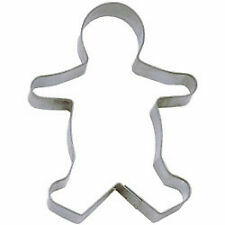 Product: Small Size Baking Tool. Size: 19CM 6.8CM. Product: Small Size Baking Tool. Material: Food grade plastic. Color: White. Item:Embosser wheel cake cutter. You'll create great-looking dots or waves to give your fondant cake terrific texture! When complete,just use an angled spatula to move the strip to your cake. To emboss a pattern ,attach one of the two pattern wheels-wavy or ridged. With Mrs. Anderson’s six wire, pastry cutter you can evenly mix and blend ingredients into thick batter or heavy dough. The stainless-steel wires can quickly cut into firm ingredients like butter, shortening, and cream cheese. 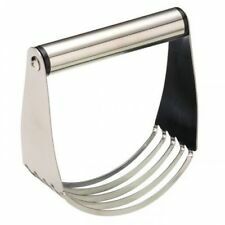 Constructed of stainless steel and wood the pastry cutter measures 5 x 4 ¼ x 1 ¼ inches. Hand washing is recommended. Set of 3 Crinkle Edged Pastry Cutters. Set of 3 Crinkle edged pastry cutters in three different sizes. the more the reduction. This will be done asap but within 24 hours. This is because when occasionally there has been a problem I have always tried to sort it out! So, just like the professionals, you can turn out batch after batch of pastry, biscuits or crumble toppings to a consistently high standard that will delight everyone around your table.13 x 4.5 x 12.5cm H.
Great British Bakeoff Pastry Cutter Set with 5 through 9 cm cutters with scalloped edges Barely used. Ergonomischer Edelstahlgriff matt gebürstet. - der ideale Küchenhelfer bei der Zubereitung von selbstgemachten Ravioli. - Edelstahl rostfrei. - gehärteter rostfreier Klingenstahl (CR MOV 15). - spitz gezackter Löffel zum Aushölen. I think they date from the early 50's and therefore show signs of a long life. Not anymore as this Ribbon Cutter and Embosser Set is just the ticket for perfect ribbon making. Bathroom Accessories. With a combination of good use of colours and patterns it's easy to achieve a cake that is really stunning.